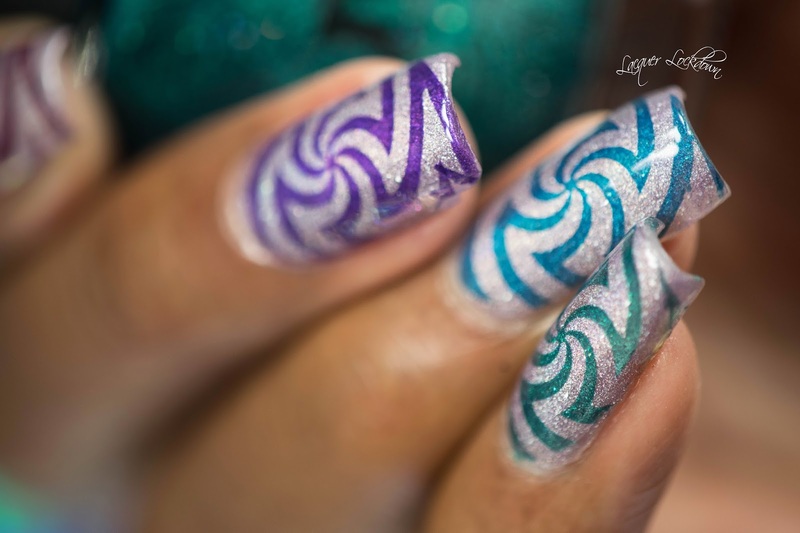 Lacquer Lockdown: Simples: Masura Magnetic and Holographic Swirls + Tutorial! Simples: Masura Magnetic and Holographic Swirls + Tutorial! Your girl is back and ready to start the year off right! Last year looking back I didn't post nearly as much as the year prior. Last year was truly my struggle year. Lots of cool things happened but I couldn't keep up with everything - school, work, health, and nails. 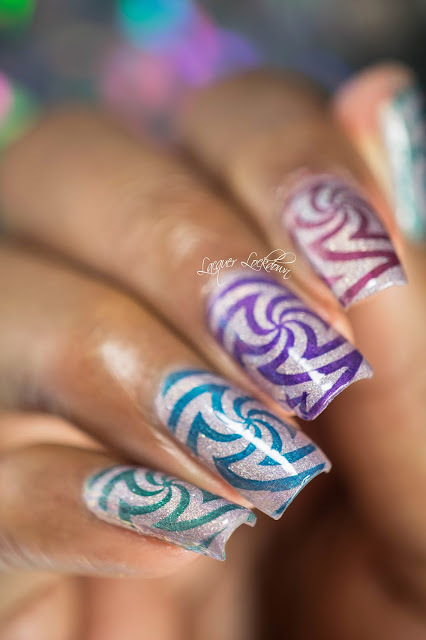 This year I'm gonna get back into my stamping passion once again! I'm hoping to have more reviews, more nail art, more everything so here's to 2017. I'll also do my annual my favorite looks of 20xx post later this week so stay tuned! Also please leave some comments below if there are any looks I did that you specifically liked over the last year! In any event today I'm going back to the trend in 2016 that made my heart beat hard - magnetics more specifically of the Masura variety! So I had such a terrible time deciding which colors to use when I put this together. Not all of the magnetics will lighten the right way across a light surface. Therefore I needed colors that were dark and opaque but also stayed opaque within their hue even when the magnetic particles are driven upward to the surface. Again for those who like to know I get my Masura polishes from Molish Polish. I have for my last 2 orders. The owner is wonderful, very responsive, and helps answer any questions you may have about your shipment, payment, etc. All of my packages have also arrived very carefully bundled with nothing broken so these factors make me keep coming back for more! 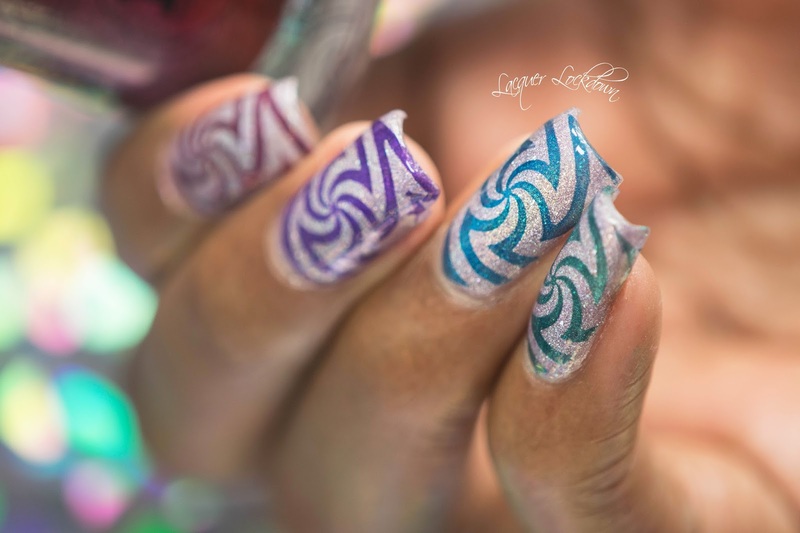 Alternatively there is also Hypnotic Polish which tends to have faster shipping and also a more flat rate shipping standard. No bad eh? So here we are first nail art of 2017! Last years was gold holo glam lol so apparently some things never change! Hope you liked this one and stay tuned for much more in the upcoming year. P.S. 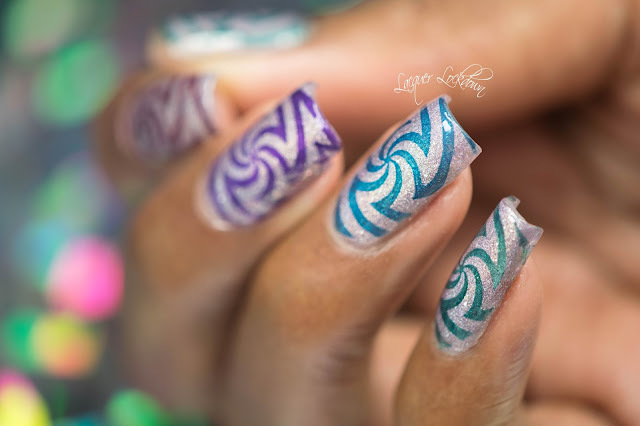 Don't forget if you want to nominate a nail art from last year for my review post place it in the comments below or shoot me a comment on my Instagram. Happy New Year all! This post contains items purchased by me for my personal use. For more information see my Disclosures Policy.